As you well know, we are obsessed with HGTV. 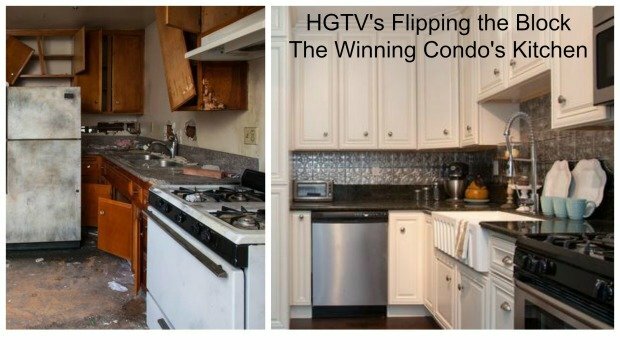 This week’s binge watching was HGTV’s Flipping the Block. We wanted to see what the show was all about since two guys we know were being considered as one of the teams. The guys actually pulled out pretty early in the application / audition process but we remained intrigued. Unfortunately, I was unable to view the entire series On Demand but did catch the last few episodes and enjoyed them. And now for the spoiler alert >> our home town San Diego (Coronado) couple actually won the $50,000 prize. Amanda Marks and Curtis Goldin styled their condo in a cross between an industrial modern and boho chic that HGTV calls a cottage-style beach getaway. 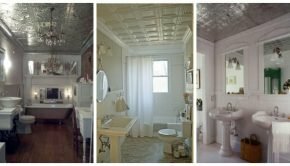 You can see all the before and after pictures here. 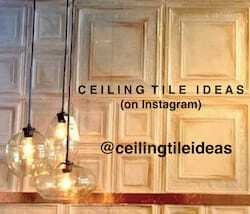 And of course, in our absolutely favorite room, the kitchen, Amanda and Curtis chose a decorative tin tile backsplash. 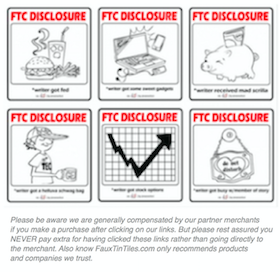 How about those before and after pictures – what a difference $22,044.03 makes. 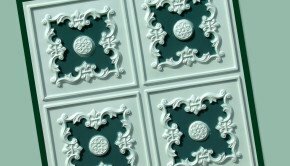 Tin Backsplash as Seen on HGTV’s Flipping The Block | Kitchen Photo Credit: Stephanie Diani / Getty Images 2014,HGTV/Scripps Networks, LLC. 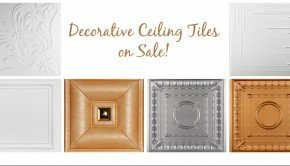 Although we do not know where they procured their tiles, we do know that our go to ceiling tile guy, Milan at Decorative Ceiling Tiles, stocks a similar backsplash he calls the Princess Victoria Aluminum Backsplash #0604, if not the exact tile. We always turn to Milan because we know he is the ultimate professional, ethical, and all in all a great guy. 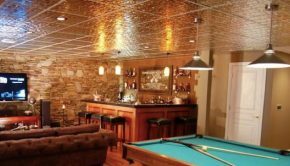 Not only are decorative tin tile backsplashes very on trend, they are affordable, easy to install (how2 install tin backsplash), and most importantly easy to keep clean. All we can say is good choice Amanda & Curtis! 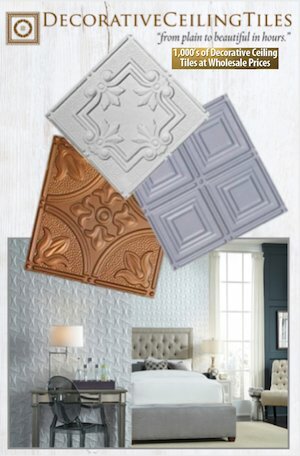 Congratulations – we think it is your choice of backsplash that took you over the top! 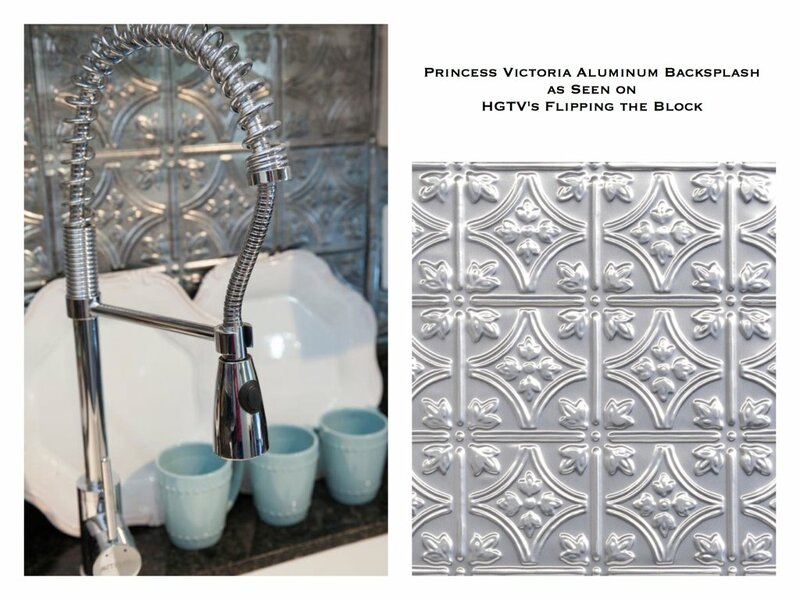 Summary: Tin Backsplash as Seen on HGTV's Flipping The Block - a decorative tin tile backsplash is very on trend, affordable, easy to install, and most importantly, easy to keep clean!